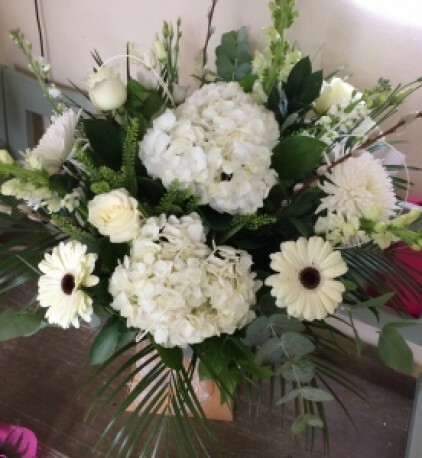 A lovely selection of white and green flowers in a presentation box. White hydrangeas will be included when available. (Flowers may bary slighty depending on availability) Size shown is medium.